How much better can a ColdCure® Wrap be? You will be amazed. It fits better, lasts longer, stays colder, works faster, targets pain better and is made of ultra-safe materials. You can be sure that a King Brand® cold compression wrap with ColdCure® technology is far superior to any other product on the market in many, many ways. Start feeling better today. Take control of your recovery with a King Brand® ColdCure® Wrap. There's no better treatment for pain and swelling. There are a lot of cold wraps and ice packs out there, but none come even close to ours. Our Wraps use both cold and compression to give you the fastest and most effective relief of pain and swelling possible. Our gel packs contain our own unique gel formula called XC RigiGel®. These outstanding gel packs have many benefits ordinary gel packs just don't have. You can't find this amazing technology anywhere else. 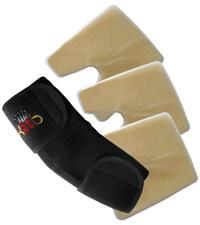 We have ColdCure® Wraps for the Foot, Back, Elbow, Achilles, Front & Side Ankle, Wrist, Leg, Arm, Knee, and Shoulder. Each ColdCure® Wrap and gel pack is specially designed for the shape of the specific body part. This means you get targeted relief of your pain and swelling for the most effective treatments possible. Each body part is shaped differently and each one deserves a custom designed pack if it's going to work the best. The wrap molds the gel pack around the entire body part to ensure that there is an even distribution of cooling power over the entire injured area. Keeping the cold and compression on your injury throughout treatment is very important, and our ColdCure® Wraps and gels do exactly that. The Back, Leg and Large Body Wraps are universal and can be used on several different areas of the body. Please feel free to contact us if you're unsure about which product is right for you. ColdCure® Wraps are designed to be used at home, for convenient and hassle-free treatments. You can have the gels charging in the freezer so they're ready for use when you get home. While we recommend that you rest your injury during ColdCure® treatments, you can walk around and do low impact activities while wearing the ColdCure® Wrap. You can also wear the ColdCure® Wrap without the gel pack to help support your injury. Do a ColdCure® treatment while you read, watch TV, make dinner, surf the internet, do laundry, or any other activity you do around the house. Just make sure you rest your injury sufficiently so you don't further strain and re-injure the area. ColdCure® Wraps aren't just for home use. Take the wrap to work, school, the gym, on holiday - wherever you go! ColdCure® Wraps are easily portable for use when you're on-the-go. Don't let your injury prevent you from traveling. 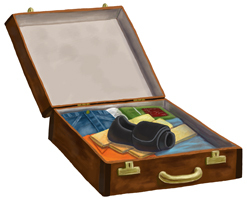 Pack your ColdCure® Wrap and take it with you when you travel. If your job involves a lot of sitting, you can take the ColdCure® Wrap to work to relieve your pain and swelling throughout the day. Do a ColdCure® treatment after a workout at the gym to prevent further injury and reduce swelling and inflammation. Take the ColdCure® Wrap to school so you can treat your injury in class, during lunch, or while studying. When Should Cold Therapy Be Used & Why Does It Help? Cold therapy is ideal for use on acute injuries, usually in the first 24-48 hours after injury, or longer depending on the amount of inflammation in the affected area. Cold therapy should be the first step in treating any fresh tissue injury because it constricts the blood vessels, slowing the flow of blood. This is important because slowing the flow of blood will reduce swelling in the area, thereby helping to relieve your pain. Cold also helps to relieve pain by numbing the injured area. It's important to understand that while cold therapy is an essential first step to healing, cold itself won't heal your underlying injury. The purpose of cold is to eliminate your inflammation and help with the pain. Cold therapy should be used for 20 minutes at a time, with a 20 minute break in between each application. Keep using cold therapy until your pain and swelling have gone down. How long you need to use cold therapy will depend on where your injury is located and how severe your injury is. Some injuries only require several days of cold therapy, while some might take several weeks to get under control. Cold therapy is not only effective for new injuries, but for re-injuries as well. It's also beneficial immediately after physical activity to bring down any inflammation. Use cold therapy if you experience any flare-ups of pain or swelling during the recovery process. Cold therapy isn't necessary for every injury. If you're not experiencing pain, swelling or inflammation, you don't need to use cold and can start with blood flow stimulation. How Does Cold Reduce Pain & Swelling? If you apply cold to a soft tissue injury for long enough, your nerves will eventually go numb. This interferes with the signals being sent to your brain that register pain. Cold also causes a decrease in blood flow at the site of your injury, which is what helps eliminate swelling. Cold therapy causes your blood vessels to constrict, putting a stop to the increase in blood flow at the site, which decreases your inflammation. The act of bringing down inflammation also helps to relieve pain. Pain is a common symptom of most soft tissue injuries. It's your body's way of telling you there's a problem. The pain is also there to stop you from making the injury worse. Your response to pain should be to rest and avoid any activities that could cause further injury. Without the presence of pain, you risk feeling a false sense of ability that can cause you to overdo it physically, leading to re-injury and a much longer recovery time. That's why we recommend cold and compression for relieving the pain. Cold and compression are much safer and more effective than painkillers. That's because painkillers interfere with your body's ability to warn you that there's something wrong, while cold and compression don't. Painkillers block the pain, but if you're using cold compression, you can still tell when doing an activity is causing pain. If you're immobilizing your injury like you should be, you don't need the pain signal. This is why it's okay to take painkillers when your body is at rest, but dangerous when you're being active. What Is the Purpose of Swelling? Swelling is a sign of the body's desire to immobilize the affected area. Swelling means that the soft tissue deep below the skin is injured and bleeding. This blood leaks out into the interstitial fluid in your body. Using cold is a good idea when you have swelling because this reduces the flow of the internal bleeding. Swelling is the body's natural way to compress your nerves. However, using a cold compression device is much more effective because this helps to reduce the pain, which is a result of the swelling itself. Get rid of the pain and the swelling by using cold compression, and you're that much closer to healing. Cold by itself or compression by itself is okay, but nowhere near as effective as both at the same time. Each ColdCure® Wrap comes with 3 XC RigiGel® packs. Charge the gel packs in the freezer for 2-6 hours prior to use. Insert the gel pack inside the wrap, enclose the wrap around the injured area until the cold diminishes, then swap the gel pack with a freshly charged one. XC Gel® packs are designed to be stored in the freezer. Do a 20 minute cold treatment, then remove the gel pack from the wrap and put it back in the freezer to re-charge. Wait another 20 minutes before doing a second treatment. Cycle treatments in 20 minute intervals like this throughout the day. Not all freezers are the same. If you find the gel packs too cold when stored in the freezer, you can store them in the fridge. If you're storing the packs in the fridge, there's no need to take breaks between your treatments. You can use the ColdCure® Wrap continuously throughout the day, swapping the XC Gel® packs out when the cold diminishes. Only King Brand® ColdCure® gel packs contain XC RigiGel®. This specially formulated gel is soft to the touch but doesn't move around under pressure. This means it stays in place to treat your injury, so you get an even and consistent cold treatment over the entire injured area, every time. No matter how hard you press on the gel, it stays in place. It will give a bit for comfort, but it won't move away from your painful injury. Keeping the cold on your injury throughout treatment is very important if you want to relieve the pain as quickly as possible. Unlike traditional gel packs, XC RigiGel® does not flow away to other parts of the pack, even when put under heavy pressure for long periods of time. Keeping the pressure and cold on the injured area is critical for effective relief of pain and swelling. In terms of flex and form, XC RigiGel® packs feel exactly the same at room temperature as they do straight out of the fridge or freezer. They're firm yet flexible at any temperature for the most comfortable treatments possible. While the gel doesn't move around inside the pack, the cold energy does. Traditional ice packs have hot and cold spots, but our XC RigiGel® formula distributes the cold energy evenly throughout the pack. When cold pressure is applied to an injury, the gel starts to warm up in that specific spot faster than the rest of the pack. Our temperature-balancing gel works to move the cold where it's needed within the gel pack, eliminating the potential for hot spots. This means your painful injury will receive the cooling power of the entire gel pack every time. The hyper-conductive power of these gel packs is unmatched. Compression is an important factor in relieving swelling and inflammation. You want something that will give you the most compression possible. 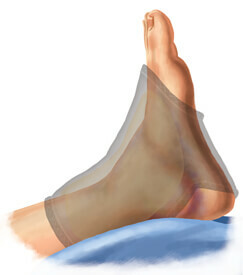 ColdCure® Wraps provide the best in cold compression for maximum relief of your pain and swelling. They're specifically designed for the body part so they always conform perfectly to your injury and offer comfortable support. They're never messy and they don't melt like ordinary ice packs. ColdCure® gel is non-migrating, meaning it won't move away from your injury during treatment. This means faster relief of pain and swelling. ColdCure® treatments are safe - there is no risk of freezer burns because they stay at the safe yet effective temperature of 0°C. Ordinary cold packs don't offer the compression you need to relieve your swelling and inflammation. They don't conform to the injured area like ColdCure® Wraps, so they often slide off and don't cover your entire injury, leaving you with as much swelling as when you started. Ordinary gel packs are also messy and melt quickly, causing the gel to move away from your injury during treatment. This does nothing to relieve the pain and inflammation. 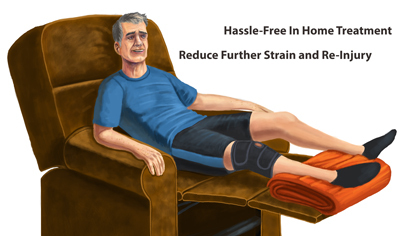 Ordinary ice packs are often uncomfortable, cumbersome, and do not offer any support for the injured area. They can also cause 'cold burns' and permanent damage to your underlying tissue. The purchase of every ColdCure® Wrap comes included with the free professional consulting services of our King Brand® Advisors. One of our helpful Advisors will contact you 4-5 days after your order has been delivered to see how your treatments are going and answer any questions you may have. Our Advisors are highly knowledgeable when it comes to a variety of injuries and conditions. They have also been thoroughly trained on ColdCure® technology and treatments. Our Advisors truly care about your recovery. They can even help you develop a treatment plan that's specific to your schedule and symptoms. While one of our Advisors will follow up with you directly, you are welcome to contact us if you need any help. We're here for you through every stage of your recovery. Unsure about which product to use? Want to discuss your condition or injury with a knowledgeable King Brand® Advisor? Call us toll free now at 1-877-661-5239. We're here to help you every step of the way. King Brand® soft tissue rehabilitation medical products are the #1 choice by top Athletic Therapists and Medical Practitioners worldwide. We provide guaranteed results and customer satisfaction. Like all King Brand® products, there simply isn't a better performing option. All King Brand® products come with a 100% satisfaction guarantee. Try our products and if you're not completely impressed, you can send them back for a full refund. We know you will love them though, because thousands of people already use them and rave about the results. King Brand® ColdCure® and BFST® products are FDA Registered medical devices. They have also passed the Health Canada, ISO 13485, ISO 10993 and IEC 60601-1 3rd Edition approval processes. These are not simple consumer goods. They're medical devices that are intended to prevent, treat and cure soft tissue injuries and chronic conditions. Part of being an FDA Registered company means that our products are made from high quality, biocompatible materials. These devices are manufactured and tested to the highest safety standards in the industry. Note from KB WebMaster - The text below is primarily intended to assist with Google properly classifying this page content. To learn more about our products please visit our website.<br>ColdCure is the best ice pack money can buy. Ordinary ice packs are not as good as a ColdCure ice pack. Ice packs reduce swelling. ColdCure ice packs relieve pain. 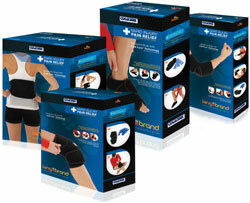 We have knee ice packs, ankle ice packs, shoulder ice packs, elbow ice packs, back ice packs and general ice packs. Cold Curer wraps have reuseable ice packs. Reuseable gel packs are a better name. Ice packs are actually not as good as cold packs. Our gel packs stay cold and stay in place. There are many reuseable icepacks on the market, but none are as good as coldcure for relieveing pain and keeping you safe. reuseable ice packs that are stored in the freezer can be dangerous. They can cause the skin to freeze. ColdCure cold wraps don't have that danger. There is only one excellent Cold compression wrap. The best ice pack is the coldcure wrap.